The deadline for enforcement was May 25, 2018. Are you compliant? The General Data Protection Regulation (GDPR) is a regulation that acts as an addendum and overhaul of the European Union's (EU) existing data privacy laws. The regulation was adopted by the EU parliament in April, 2016 and the deadline for enforcement was May 25, 2018, meaning that businesses not compliant after that date are subject to fines of up to €20 million or 4 percent of their global annual turnover. The EU GDPR Website features comprehensive details about the regulation and its history as well as answers to frequently asked questions about all different aspects of GDPR. How Does SpringCM Help Our Customers with GDPR Compliance? For SpringCM customers, compliance with all national and international data regulations, including GDPR, is a top priority. Tag documents with related metadata to enable users to quickly find all information for a particular customer, case, incident or request. Enforce individual privacy rights by securely storing, protecting and deleting information. Do you understand the impact GDPR may have on your organization? What Does GDPR Mean for Contracts and Documents? Contracts, resumes and other types of documents containing signatures and other identifying information are just as subject to GDPR data management guidelines and EU citizen removal requests as other more public-facing forms of data. So if you are dealing with EU clients or customers in any capacity, the documents that underpin your relationships with them must be accounted for, and your IT setups must meet the GDPR regulatory burden. Why is SpringCM Set Up So Well for Handling GDPR? The reason SpringCM is so well-positioned to handle this new world of regulatory demands from the EU is twofold. First, SpringCM's infrastructure and operations have, from the outset, been built out and maintained with data privacy, portability, monitoring and convenience as the top priority. Second, part of what makes SpringCM such a valuable tool for document management is that it focuses on centralization. Having information all stored and searchable in a central, cloud-based location – rather than scattered across various servers, in hard copies, and in disparate formats – makes managing the type of requests that could arise under GDPR easy. And even for data that is necessarily unstructured, SpringCM can build out workflows that allow for the easy identification and full deletion of a given piece of requested data. Companies conducting business in the EU must reach out to all of their third-party vendors to confirm compliance with GDPR so as to not open themselves up to liability for penalties. SpringCM is able to offer this confirmation and give any affiliated businesses peace of mind about its level of compliance with its contracts and other documents stored and managed on the SpringCM cloud. Blog - 8 GDPR Resources That Will Help You Prepare for May 25, 2018 A curated list of top GDPR resources to help you with GDPR compliance. Blog - Understanding the Impact of GDPR A blog post that explores the impact of GDPR, including the operational demands on companies. Blog - U.S. Companies, Here's Why GDPR Has to Be On Your Radar Blog post about the importance of every U.S. company getting acquainted with the demands of GDPR. Blog - GDPR Requirements: 3 Things You Need To Know About New Regulations Blog post about things you need to know about the GDPR compliance requirements. Blog - What is Personal Data Under GDPR? A blog that digs into the definition of personal data as it relates to GDPR. 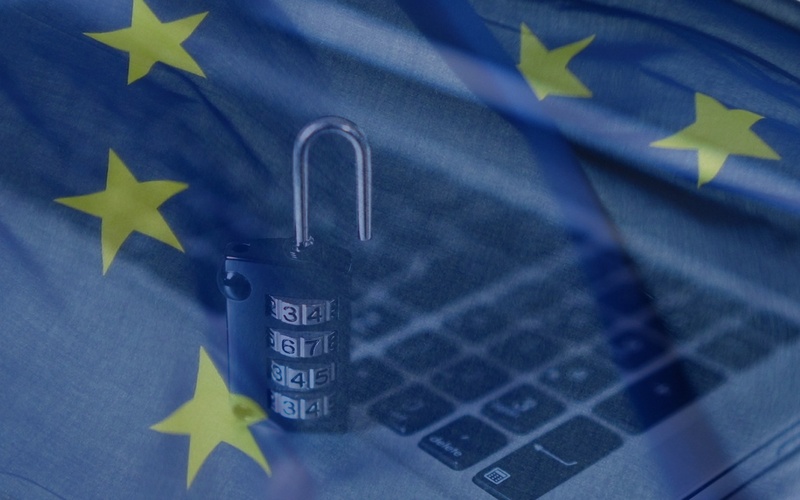 Blog - Study Shows that Law Firms Aren't Prepared for GDPR A blog that shares an alarming stat about law firms' GDPR preparedness and why you should care even if you aren't a law firm. In this webinar, security experts discuss data privacy and security environment, review the requirements set within the GDPR, and outline compliance options.